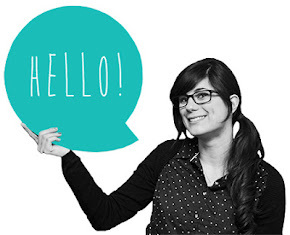 Finally I can share with you this project I've started last summer! My grandma gave me this dresser some years ago and I've always wanted to refresh its look. I really like old furniture, I've always thought they have a history, so when I've seen this dresser in my little room I wanted to take it with me, but with a different appearance! It's been a very long project but I'm really satisfied with the result! 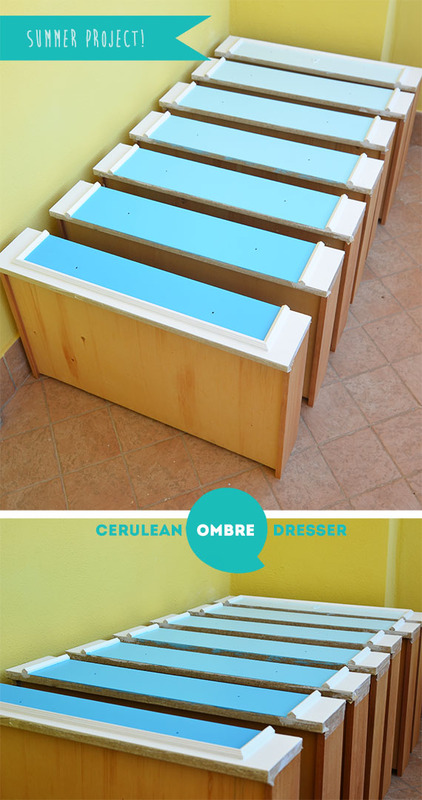 Let's start: DIY - cerulean ombre dresser, this is totally a summer project! First off, paint the whole dresser with the primer and wait for 24 hours. The day after set the paper tape around the areas of the drawers you want to paint with a different blue shade and start painting all the withe areas. Wait 6 hours for the painting to dry and then paint the white areas again. I suggest to paint the dresser twice for a better result. But..the best is yet to come! When the white areas are totally dry, remove the paper tape and set it around the areas of the drawers you have painted with white. To obtain different shades of blue I've prepared seven pots (as the drawers of my dresser) in advance with some white color (same amount in each pot) and I've added one drop of blue in the first pot, two drops of blue in the second one and so on. In this way I've made a perfect blue ombre! 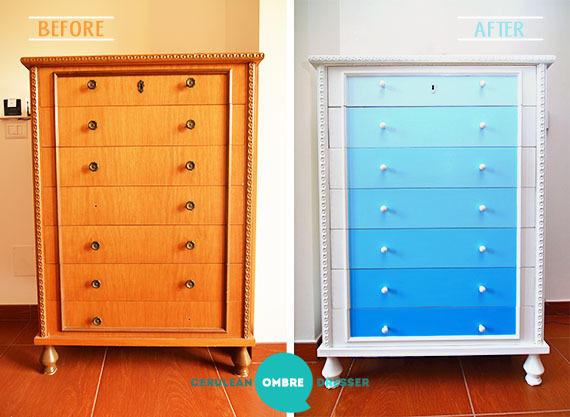 Once you've made yours, it's time to use it and start painting the drawers! 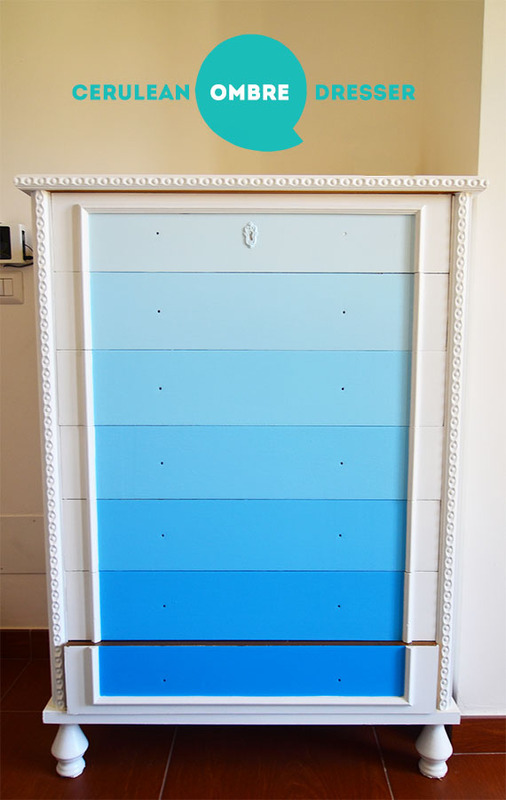 Paint each drawer with its blue shade. 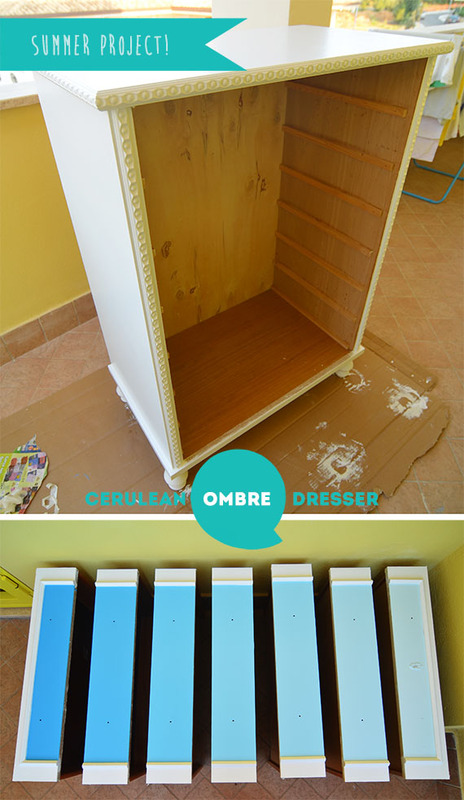 Once again, I suggest you to wait for the color to dry (6 hours) and then to paint the drawers again. I guarantee that you'll be very happy with the result!! The last step is to put the knobs. 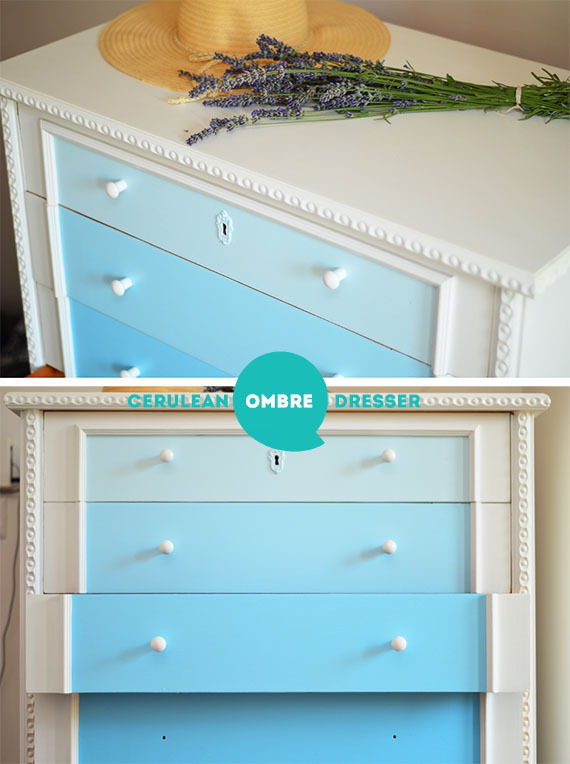 I've chosen white knobs because I love the contrasts it creates with the different blue shades of the drawers. Da-daaan, It's finished!! I really hope you liked this summer project. What an awesome idea. Your dresser looks fantastic! Polka dot & chevron potholder!